My name is Kevin Fenzi. I work for Red Hat as the Fedora Infrastructure Lead. This means I work on keeping all the servers that run Fedora running. I also do lots of other things for Fedora in my “spare” time. First off I would like to ask, what is the Infrastructure Hackathon? The Infrastructure hackathon is a gathering of Fedora Infrastructure folks to work on outstanding tasks that would benefit face to face work. What are you planning to do or accomplish by taking part in the Hackathon? We have a list of goals/items to work on and we will likely do some more things too that we haven’t formally put up yet. Why do you think this hackathon is needed and why now? It will allow us to work on some tasks that are needing focus and high bandwidth face to face conversations. I am particularly excited by the Rawhide gating work. Lastly, how did you get involved with Fedora Infrastructure? I’ve been working on Fedora packages since 2005 (the fedora.us days), and my day job was a sysadmin, so I started working with Fedora Infrastructure over the years. Then 7 years ago, I was offered a job leading Fedora Infrastructure, and I jumped at it. It’s been a busy time ever since. My name is Stephen John Smoogen. I am a Linux administrator currently living with my family in North Carolina. My hobbies are role-playing games and computer hacking. I work for Red Hat Inc in their Fedora Project group. What is the Infrastructure Hackathon? The Fedora Infrastructure Hackathon (FIH) is meant to be an extended Fedora Activity Day (FAD) to allow the team to focus on specific goals for the year. Most of the Fedora Infrastructure team are spread through out the world which allows for a lot of flexibility in who can participate and when. There are times however when high bandwidth communication (aka face to face and non-verbal queues) can improve the ability of any project to complete. While we are able to bring together most of the team together at FLOCK or similar events, those are still events with other focus items happening. The FIH is a time when IRC, email and other distractions will be turned off and people will focus on getting project items on a firm footing. There are several group goals and various individual ones. For the group, we are aiming at documenting various packaging processes for package owners. This will improve workflow as many packagers only look at packaging once a year or so and are going off of memories or outdated wiki pages. The next big goal will be to realign programs among developers and operators so that no one has too high of a load, and that we do not have any systems falling through the cracks. After these are dealt with, individual programs will get focused on to try and deal with outstanding issues or “humps” where showing and talking to another subject matter expert would help. My plans for the hackathon is to focus on documentation of services and processes. I want to also work with the other infrastructure members on revamping the Infrastructure Apprentice program. After that it is to work on statistics gathering and reporting for different groups. How did you get involved with Fedora Infrastructure? I have been working on Fedora since before there was a Fedora. I worked on Red Hat Linux from 4.2 until the 7.1 release either in technical support as a system administrator on the download servers. I left the company for a while, but continued to work on Fedora Extras and Legacy when Fedora started up. Later I began to focus much more on Enterprise offerings and worked on EPEL. In 2009, I was offered a chance to rejoin Red Hat and work on the Fedora Infrastructure and have been here ever since. 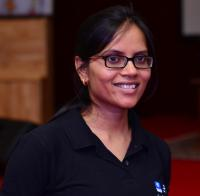 Sinny Kumari works at Red Hat as an Associate Software Engineer. She loves and promotes open source. Additionally, she contributes to KDE‘s Plasma Media Center and Libabigail, both open source projects. The Infrastructure hackathon is a community-driven event focused on getting some of the important things discussed, road-mapped and done around Fedora. This is going to be my first infrastructure hackathon and I am really excited about it! I will be mainly working on getting Fedora Atomic better by getting some of the topics discussed/done. This includes Fedora website changes for multi-arch Atomic images, PoC for ostree mirroring with static delta only repo, Fedora Atomic Host Release Dashboard, etc. Also, there are so many topics which are going to be discussed as mentioned in the agenda. I will be attending some of them to get better understanding of infrastructure and participate in getting a solution. According to me, having this hackathon is really important because contributors are from different countries and time zones. Most of the time, we discuss and work over IRC or Mailing Lists, where response time depends upon when someone is available. But, this hackathon will allow us to be in the same time zone and place, which is going to help some of the ideas get discussed, shaped and done quickly. From past two months, I started working on Fedora Atomic 2-Week release with great help and support from Dusty Mabe. This is a fast release and to release happen on time we need to make sure that release artifacts like compose for all arches, AMIs upload, automated tests, etc are happening successfully. If it doesn’t, then debugging into various tools (which are hosted on our Fedora infrastructure) will be required. This needs understanding and communicating with infrastructure core members. Being a new contributor in this area, this hackathon will help me to get better understanding of our Fedora infra and fixing issues quickly. Also, a nice opportunity to meet them in person and even contribute to some of infrastructure related projects! The Fedora Infrastructure Hackathon starts today, beginning on April 9th and ending on April 13th. The Fedora Infrastructure team is looking forward to a productive week, and we hope to see you join us too! I have come here to chew bubblegum and write code...and I'm all out of bubblegum. This is awesome! huge head-start for people like me wanting to jump into CommOps. Keep pushing these kind of stuff.